It's no secret that I don't follow many sports. My favorite outdoor activity is going for long walks--not exactly a team sport! But I do know that many kids love sports and seek out sports books in our libraries, and so I make a special effort to seek these out. A new series presents the rules & techniques of favorite sports, along with an overview of legendary teams and players. I particularly like the way these books show girls and boys, men and women playing these sports--with a notably diverse range of players. Every day if you look out at our school's playground, you'll see kids playing soccer and basketball. They learn the basics from an early age. Many kids will come to reading this book with a solid background knowledge of the terms, content and structure. This means that tricky vocabulary words are easier to tackle because they know the context. 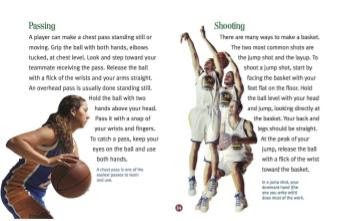 These books use clear language to explain the basics of soccer and basketball, often illustrating concepts with labeled photos or diagrams. 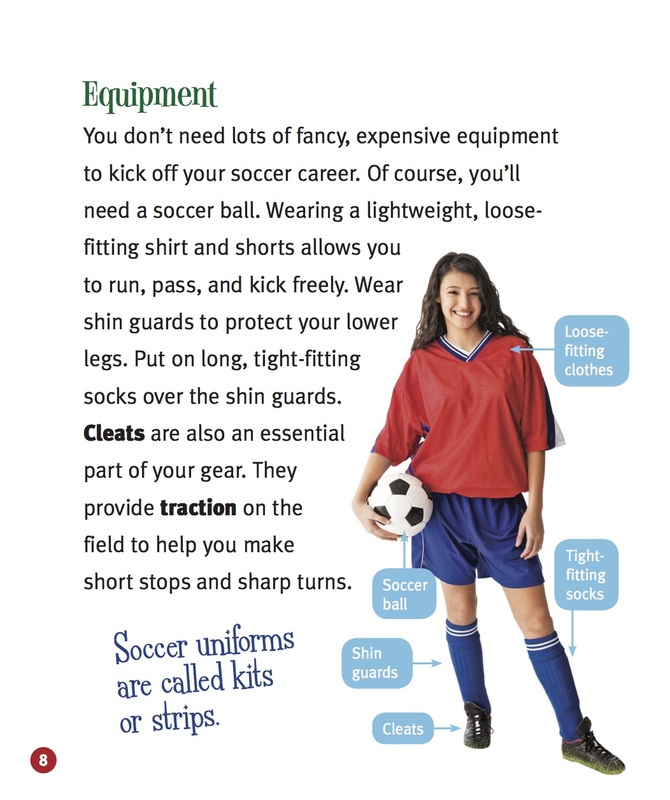 Kids probably know what gear they wear for soccer; reading it helps them become familiar with how nonfiction concepts are developed in writing. "A player can make a chest pass standing still or moving. Grip the ball with both hands, elbows tucked, at chest level." Teachers can use this to model how writers expand upon an idea. This can be very difficult for kids to get used to in their own writing. They can also show how the author organizes ideas into different sections. But really, kids will just enjoy reading these high-interest books. Look for these books in both paperback and hardcover. They'd be a great addition to home, classroom or school libraries. The review copy was kindly sent by the publisher, Scholastic Library. If you make a purchase using the Amazon links on this site, a small portion goes to Great Kid Books. Thank you for your support. Do rivals need to be enemies, or can friends compete and support each other? As our political leaders in Washington struggle with their dysfunctional rivalries, I think we must strive to look for other role models of constructive competition. 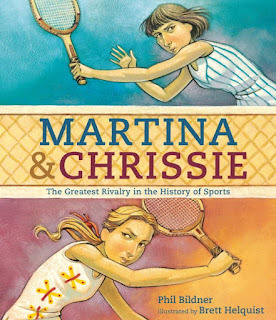 I love the new informational picture book Martina & Chrissie for its vibrant, exciting look at two sports rivals who pushed each other and were also very good friends. In one way, you can read this picture book as a typical sports biography that traces Martina & Chrissie's childhoods and rise to fame. On the other hand, you can read it as a persuasive story--where Bildner is challenging you to think about what makes a great (as in best) rivalry, and why these two women deserve top billing. Martina Navratilova and Chris Evert rocked the tennis world from the mid-1970’s till 1990. Evert was a focused tennis champ who achieved fame as a teenager. On the court, she was determined and fierce. Martina Navratilova grew up in Czechoslovakia and was also a teenage national champion; however, her style of play was very different. Where Chrissie was calm, Martina was super-charged with emotion. While Chrissie won many of their early matches, Martina improved her play and began beating Chrissie. Bildner creates excitement throughout the story, building tension the way a sports commentator does. "Martina had this lefty serve that was wicked, wicked. And she loved to rush the net: serve and volley, seve and volley, serve and volley. Guys, Martina OWNED the net." Combine this with Helquist's up-close illustrations, and readers are drawn right into the play-by-play excitement of a tennis match. This book rises above many picture book biographies because the author's message is so clear and persuasive. Martina & Chrissie "weren't the type of women who did what they were supposed to do." They were good friends who practiced together, but they were also intense rivals. By supporting and challenging each other, they made each other better players. Many of the teens I talk with are much more politically aware than I was at their age. They are committed to addressing issues about racial and gender inequalities, about police brutality and racial profiling. Teens are seeking out novels that grapple with these issues--and we adults need to read and share these novels, engaging with kids on their terms. 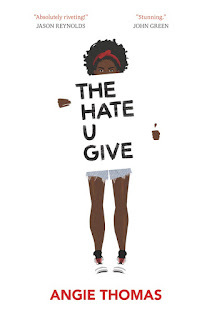 The Hate U Give, by debut author Angie Thomas, has skyrocketed to the NYTimes bestseller list--and I hope it stays there all year, reaching as many readers as it can. This is a powerful, important book--one that needs to be in every middle and high school library. Sixteen-year-old Starr navigates through two very different worlds: her home in a poor black urban neighborhood, and the suburban, privileged private school she attends. Her life changes dramatically when she witnesses the unprovoked police shooting of her best friend Khalil. In the midst of coping with her intense personal grief, Starr must also figure out how to react when Khalil's death becomes national news. As violence erupts, Starr and her family are caught in the middle. Throughout this powerful novel, Thomas shows how the personal is political, especially for teenagers becoming explicitly aware of social issues around them. Thomas writes explicitly about issues of race and class, creating both an authentic teen voice in Starr and exposing the systemic racism that impacts all of us. The police interview Starr, but will her courage and honesty coming forward make a difference? How will she react to the racism of her white friend Hailey, who writes Khalil off as a drug dealer? And yet, Thomas shows throughout that teens can be resilient and support each other. Like her heroine Starr, Thomas draws inspiration from music and personal experience. Tupac's music and activism resonates throughout, even giving the title from his saying "Thug Life". I love this interview, especially how Thomas wants to show that her characters are like roses that grow in the concrete--how they might grow up in bad situations, but they're still shining. While some reviews suggest this is for older teens, I firmly believe that The Hate U Give will resonate with many 7th and 8th graders. Kids read the news, they actively participate in social media. They see police killings in the news, whether it's on BuzzFeed or Twitter or the New York Times. "We are aware of the news. We have a right to know what's happening and shouldn't have these issues sugar-coated." Young teens need to have space to process these events, to think about the impact on different communities, to feel their voices heard. Fiction can create this space. Teens are going to pass this book from kid to kid. But it is also an important book for all adults to read--precisely because it can help us see the world through a teen's eyes. Starr's narration is immediate and intense, dramatic and passionate. Seek this out and then pass it on. I purchased the review copy for my home library, and will purchase several more copies to give to teens and teachers I know. If you make a purchase using the Amazon links on this site, a small portion goes to Great Kid Books. Thank you for your support. Berkeley schools educate all students and promote a "full-inclusion" model. Students with all types of abilities are all integrated into our classrooms, and I believe this benefits all of us -- students and teachers. But seeking out picture books that represent the experiences of different students is not easy. We must make special effort to be inclusive in our books as we are with our schools. I am happy to share a new picture book that shows a slice of life of MyaGrace, a teen with special needs who wants to be included in activities with her friends and classmates. This story exudes joy and will make a terrific addition to home and school libraries. MyaGrace is excited to go to her school's big dance with her friend, Emily. She needs to choose a special dress and get ready. The introduction explains that MyaGrace has special needs and abilities, but the text just shows this event from her perspective. MayGrace tries on different dresses, she practices dancing with her brother, and she gets her nails painted at a nail salon. Right away, young readers will relate to the excitement that MyaGrace feels for this special event. "I pick out what else I want to wear. This will help me get ready." MyaGrace has cerebral palsy, autism and intellectual disabilities. 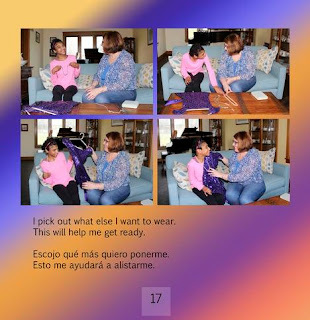 As her family writes in the introduction, they help support her in the activities she chooses. "We chose to write this story because it demonstrates how teenage girls with disabilities want to be included in activities with their friends and classmates, just like every teenager out there. With support that is encouraging and respectful, MyaGrace shows us how she is learning skills needed for her self-determination. She fully participates in plans and goals that she needs to complete in order to be ready for her dance." I especially like how the story is written from MyaGrace's point of view. The photographs capture her joy and excitement, bringing readers right into her life. 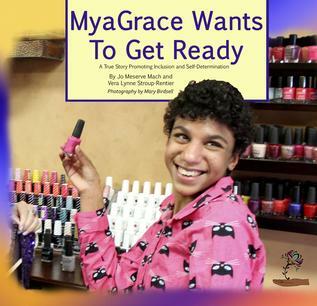 MyaGrace Wants to Get Ready is published by a small, independent press Finding My Way Books which focuses on sharing stories that honor children with special needs. The review copy was borrowed from my local public library. If you make a purchase using the Amazon links on this site, a small portion goes to Great Kid Books. Thank you for your support. As a child, I loved imagining that images in clouds, rocks and mountains were connected to the folktales I loved to read. 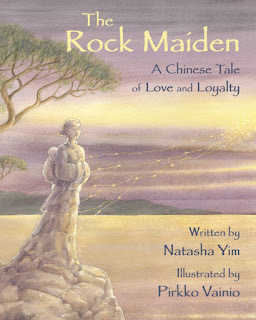 Natasha Yim brings this wonder to her tale, The Rock Maiden, which updates the traditional Chinese legend of Amah Rock in Hong Kong. When Ling Yee's husband is lost at sea during a terrible storm, she is distraught--yet she cannot let herself believe that he has died. "Maybe he found somewhere to wait out the storm," she thinks to herself as she keeps watch for him. Every morning, she returns to the same spot, with her baby strapped to her back, to look for him. 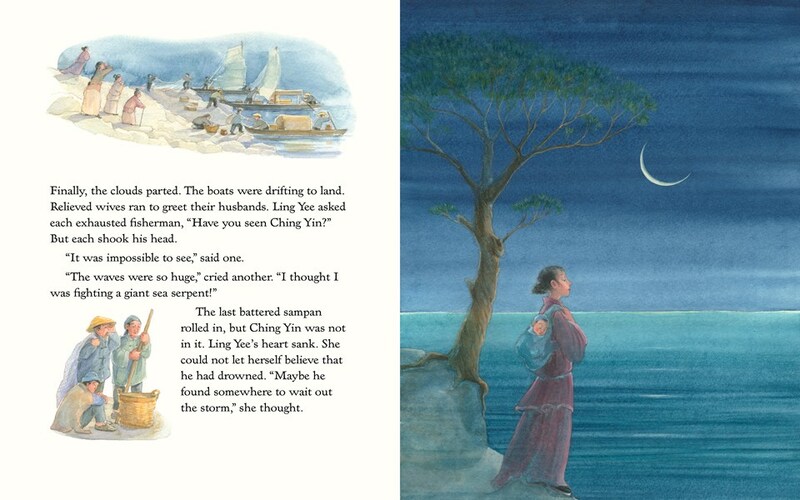 "Ling Yee asked each exhausted fisherman, 'Have you seen Ching Yin?' But each shook his head." 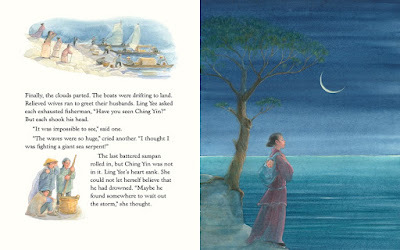 Legend holds that Tin Hua, the goddess of fishermen, took pity on Ling Yee's sorrow. She turned Ling Yee and her baby into stone, perhaps to reunite with her husband in the afterlife. 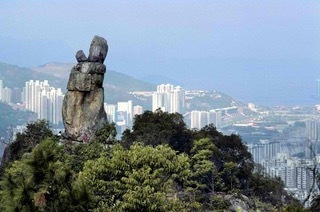 Amah Rock stands in Hong Kong, high on a mountain overlooking the island and the sea. It looks uncannily like a woman holding a child. "As a teenager growing up (in Hong Kong), I was captivated by this story. There is a hotel in Sha Tin with a large outdoor patio and a gorgeous view of the hills, valley below, and the Amah Rock. My family would go there on weekends for lunch or afternoon tea and I'd spend the time watching the Amah Rock and willing her to come back to life. She never did, of course, but her story has always stuck with me." This story exudes warmth and love, as Ling Yee waits for her husband and then is finally reunited with him. It would be interesting to ask children if they like this new ending, or if they prefer the traditional tale's ending. The review copy was kindly sent by the publisher, Wisdom Tales. If you make a purchase using the Amazon links on this site, a small portion goes to Great Kid Books. Thank you for your support. As much of the US digs out from powerful snowstorms this week, we've been basking in glorious sunshine in California. March brings both snow and sunshine--hopefully spring will start to emerge across the country. 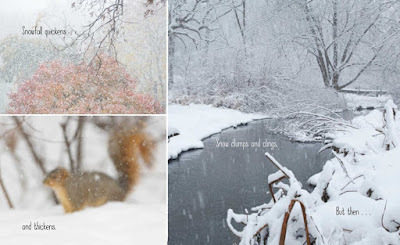 Two picture books perfectly capture this contrast, both with beautiful photography and simple, poetic text. "Snowflakes land on a squirrel's nose. "Snowfall quickens and thickens. Snow clumps and clings. But then..."
But perhaps you're tired of snow, and really want to see the promise of springtime. Or maybe you're here in California, with our sunshine and flowers. 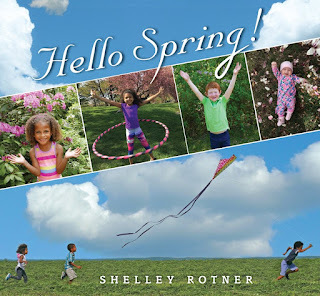 Pair Best in Snow with Shelley Rotner's Hello Spring! to see how both authors use poetic language to capture a moment. Rotner also pairs photographs with strong poetic descriptions, here showing children and animals outdoors as winter turns to spring. I love the diverse range of kids she includes. She really helps kids see themselves in all of these scenes. 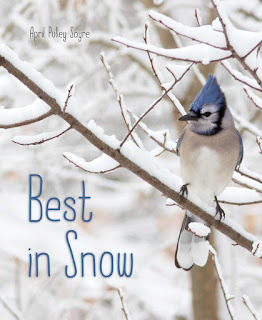 This is a great book to read aloud with preschoolers and kindergarteners as you're talking about the transition from winter to spring. A chorus of tree frogs sings wake up, wake up!" The flow of the language makes this a joy to read aloud. Look at all of the science concepts she's conveying. The excellent layout and design focuses emerging reader's attention on key descriptive words. The clean font choice makes this well suited for new readers. Both of these would make excellent books to share with 2nd-4th graders, especially as a model of strong, descriptive writing. Challenge them to writing with this simple noun-verb pattern, perhaps with just one adjective. See how powerful they can make their writing while keeping it simple. I want to end with a slice of my life, and share California poppies from my walk today. The sunshine was truly glorious, and the poppies nearly glowed in the late afternoon sun. The review copies were kindly sent by the publishers, Beach Lane / Simon & Schuster and Holiday House. If you make a purchase using the Amazon links on this site, a small portion goes to Great Kid Books. Thank you for your support. Our students like learning about important people in the world, and yet biographies can be challenging for developing readers. I'd like to share three biographies about Sonia Sotomayor that are written for developing readers--especially those in 2nd, 3rd and 4th grades. It is important to encourage our young students to practice reading biographies, understanding the whole story of someone's life. 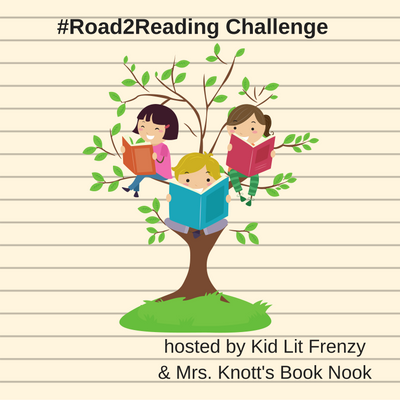 This post is part of the #Road2Reading Challenge, sponsored by Alyson Beecher (KidLitFrenzy) and Michele Knot (Mrs. Knott's Book Nook). Every Tuesday, these two fabulous educators focus on books for developing readers. I especially like reading aloud a picture book biography with students, using it to build background knowledge for students, helping them create a sense of the person before they begin reading a longer biography. Winter provides a vibrant, upbeat portrait of Sotomayor in this picture book biography of Sonia Sotomayor. "Sonia's blossoming began with her mother's love and hard work." 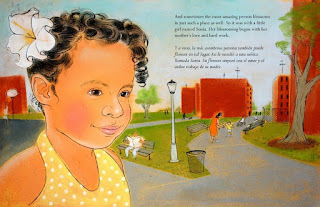 Edel Rodriguez' warm illustrations draw students in, helping them connect with Sonia as a real person. 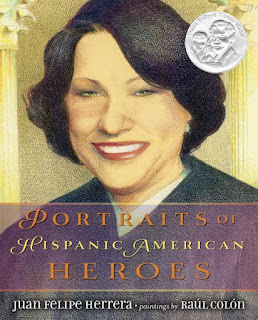 Winter's energetic writing helps convey Sotomayor's perseverance and hard work. "By the time she graduated high school, she had won an award for being the very best student in her whole school. What an honor! You can't imagine how proud her mother was. This was her daughter, her Sonia!" Winter helps readers get a sense of Sotomayor's strength of character, but he does not provide many details about her work as a judge. For a fuller understanding, I would encourage students to read a longer biography. "Sonia Sotomayor was in her office, sitting beside her phone. She was waiting for the most important call of her life. A call from the White House! She would learn whether President Barack Obama wanted her to be a judge on the Supreme Court." Short sentences make this easy for developing readers to understand. 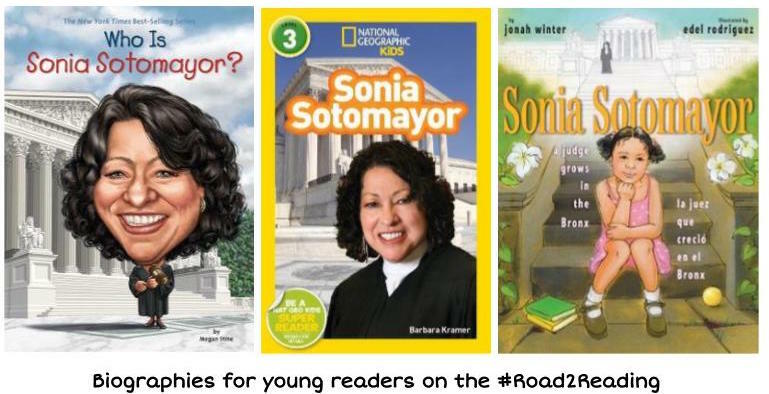 After setting the stage for why Sonia Sotomayor is important, the next three chapters cover Sonia's childhood and education, how she struggled with her family's grief after the death of her father, how books like Nancy Drew inspired her to become a detective. Further chapters look at Sonia's early cases, becoming a US district court judge, and finally becoming a Supreme Court justice. This series works best for readers who have the stamina to read a chapter book with ten chapters. Even though 2nd graders may be able read each word, they typically don't find these interesting enough to sustain their interest. For younger readers, I'd recommend the National Geographic readers series. 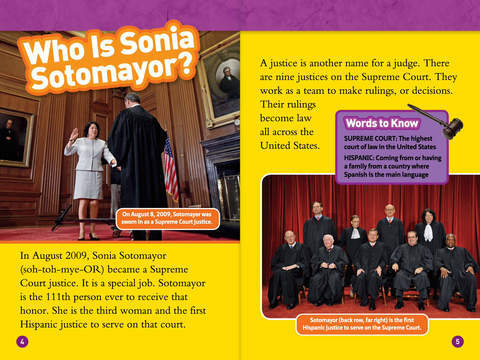 "In August 2009, Sonia Sotomayor became a Supreme Court justice. It is a special job." "Sotomayor's first job as a lawyer was in New York City. She worked in the office of the district attorney (uh-TURN-ee). Police arrest people whom they believe have committed crimes. It was Sotomayor's job to prove in a court of law that those people were guilty." This National Geographic Reader is 48 pages long, about half of the length of the Who Is book. Every page has a photograph, and several pages also have "Words to Know" boxes or diagrams. I especially like this biography of Sonia Sotomayor. 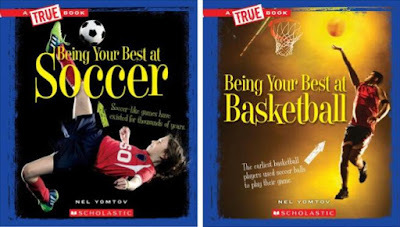 What are some of your favorite biographies for developing readers? I'd love to hear about them in the comments. 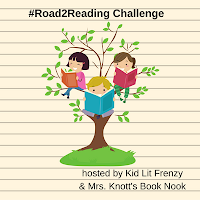 Please also check out other posts in the Road2Reading Challenge: KidLitFrenzy and Mrs. Knott's Book Nook. The review copies came from our school library and the public library. If you make a purchase using the Amazon links on this site, a small portion goes to Great Kid Books. Thank you for your support. All month, we are honoring women's achievements in political, scientific and artistic arenas. I am particularly interested in sharing lesser-known stories, helping my students connect to a wide range of role models -- particularly women of color. Juan Felipe Herrera's Portraits of Hispanic American Heroes introduces young readers to the achievement of 20 inspiring Latinos (men and women), and is a perfect celebration of women who were pioneers in politics, business and the arts. While many of the women are well-known, Herrera includes others whose achievements are less celebrated and yet just as inspiring. Adelina Otero-Warren was a woman's suffragist, educator, and politician--"the first Hispana to run for Congress from New Mexico." She focused her public service on education of children in rural areas, especially bilingual schools. Helen Rodríguez Trías was a pediatrician, educator and women rights activist. She was the first Latina president of the American Public Health Association, who fought for a more equitable health care system and a more equitable society. Rita Moreno is a Puerto Rican-American actress, dancer and singer who struggled to find non-stereotypical movie roles, even after winning the Oscar for her portrayal of Maria in West Side Story. Instead of taking stereotypical Latina roles, she chose to focus on stage plays and television--especially children's television. Juan Felipe Herrera is a poet, performer and activist who is the United States Poet Laureate. Herrera writes for both adults and children, infusing his poetry with his experiences growing up as the son of migrant farmworkers. He brings his immense poetic talents to this biography, yet keeps his focus clear and streamlined. This collection is perfect for reading aloud at home or in the classroom. The short entries let readers choose the stories that interest them. The audiobook, narrated by Luis Moreno, was also engaging and compelling. This week across Berkeley, we're celebrating both International Women's Day and College & Career Awareness Week. I'm excited to share the STEM Trailblazer Bios series, an excellent collection of biographies featuring accomplished, young figures in a wide variety of science careers. 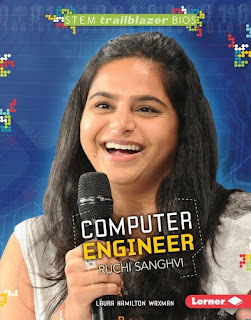 My students were fascinated today as they listened to the biography of Ruchi Sanghvi, the first female engineer at Facebook. Ruchi Sanghvi is an accomplished computer engineer who was one of the early engineers at Facebook, joining it when it was still a small Silicon Valley startup company. This engaging, short biography describes how she decided to move from India to the United States to study computer engineering, taking risks and never letting fear stop her. We began by watching this short video, giving students a sense of how young and relatable Ruchi is. I especially like how she talks about moving from India to the United States to pursue her education and career. My students talked about all that Ruchi accomplished: going to college, getting a job at Facebook, and then designing features that helped Facebook reach so many people. They also talked about how brave and determined she must be. In college, she was one of only five women in the engineering department. She left home and traveled far away. She took risks, leaving a steady job to join a start-up company. This short biography was clearly written for 3rd through 5th graders. Chapter and section headings help young readers keep focused on the main ideas, while a variety of pictures keep their attention and interest. I especially liked the many quotes from Ruchi that help us hear her own thinking and perspective. Children love playing with stuffed animals -- mine would play "stuffie school" for hours and hours. 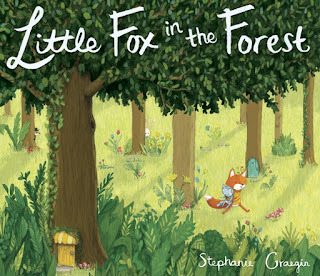 I adore the new wordless picture book Little Fox in the Forest for the way it honors a child's love for her stuffed animal, bringing magical life to her imaginative world. A young girl is drawn into a magical world of animals when she chases the fox that steals her stuffed animal. When a little girl stops to play at a park and leaves her stuffed animal in her backpack, a real fox snatches it away! She chases after the fox, running into the forest with her friend. Artist Stephanie Graegin tells this story in wordless panels, much like a graphic novel. This story works well with a range of ages precisely because it is wordless; children can tell the story with as much detail as they want. Graegin controls the pacing of the story by varying the size of the panels, using larger panes to let readers soak in details and multiple smaller panes to move the action along briskly. 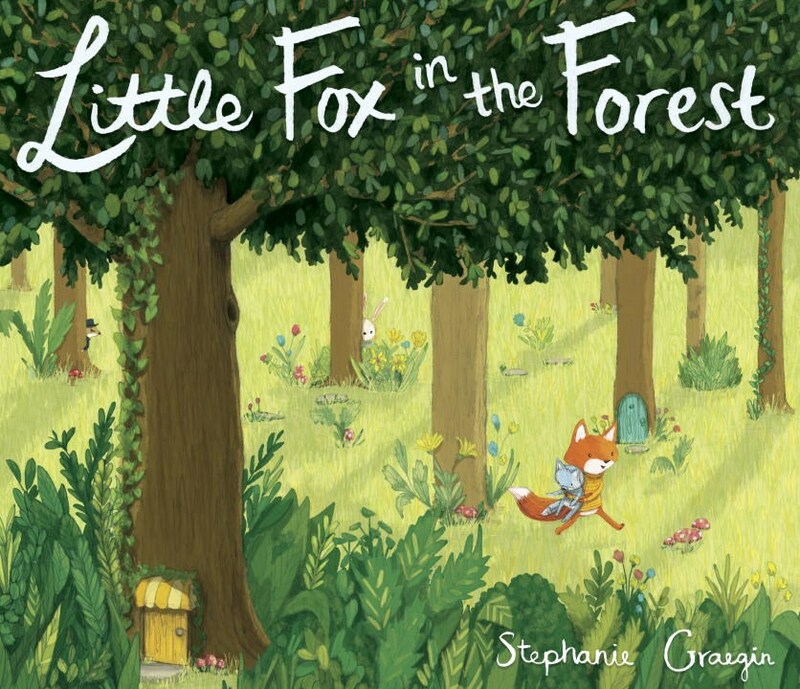 Muted colors in the beginning help the reader seek out the fox hiding in the bushes. When the fox darts through a doorway in the forest, readers glimpse the brightly colored world on the other side. The two young children follow, entering a magical land of animals. Graegin's animals are adorable, reminding me of the Calico Critter toys my children loved. This whimsical story will appeal to children steeped in their own imaginative worlds. They will be drawn into the detailed scenes, especially in the enchanted village. The resolution, where the young girl and the fox exchange favorite stuffed animals, brings its own sweet charm to the story. Little Fox: Exploring the forest, you never know what you will find! The Children’s Book Review: I see you have a bag with you. Will you tell us what you keep inside of it? Little Fox: Crayons, a sketchbook, and my pumpkin seed snacks. Everything I need to go on my journeys. For those of you with a more serious side, definitely read the in-depth interview Stephanie Graegin had in 2014 with Jules over at Seven Impossible Things. You'll read all about Stephanie's journey through art school and her path to publication. Illustration © Stephanie Graegin, shared with permission from the publisher. The review copy was kindly sent by the publishers, Schwartz & Wade / Random House. If you make a purchase using the Amazon links on this site, a small portion goes to Great Kid Books. Thank you for your support.